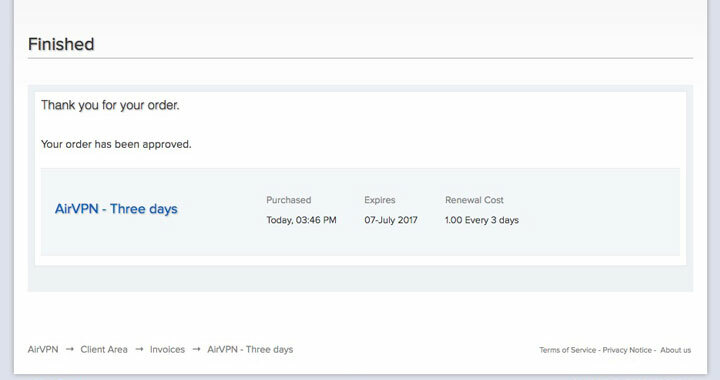 These are instructions on how to get a free trial to review the AirVPN service — one of the most security fanatic & anonymous VPN services out there. Follow the step-by-step instructions for your free trial in April, 2019. Offer available without credit cards and with full service! Alternative option is to register a three day 1€ account for quick access. I’ll take you through the whole process in detail. Make sure not to miss any steps; if you have questions leave a comment below. Step 1. 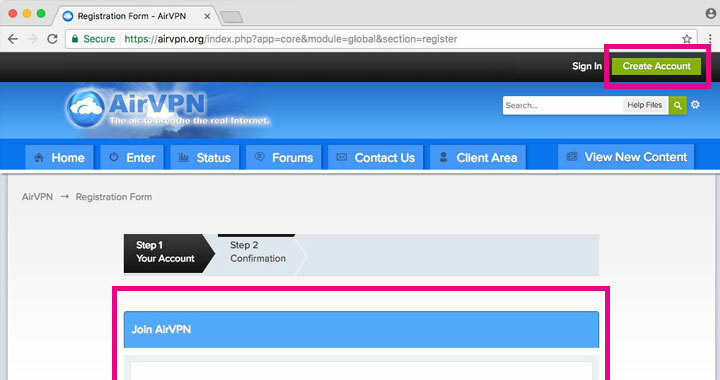 Create yourself an AirVPN account. Step 2. Proceed to the Contact Us page and fill in a similar courteous message to the “Trial Requests” support department (making your own is advised). 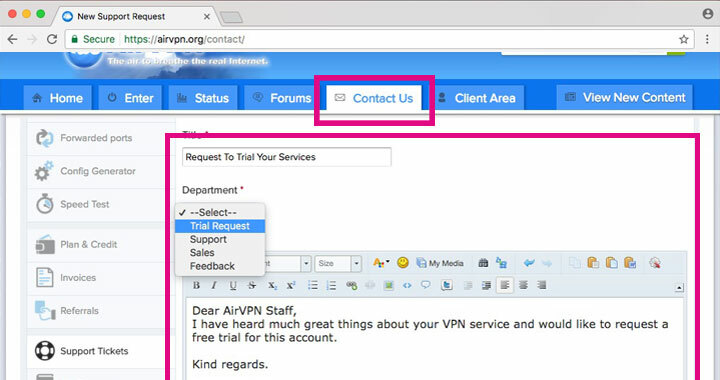 I have heard much great things about your VPN service and would like to request a free trial for this account. Step 3. After “Submit Request“, patiently wait for a response to your email box. Please note: You will most likely not get the coupon on the same day and it may even take more than the usual 24hour waiting period. Sending them follow up messages trying to hurry them up will only most likely make it worse for you (not recommended). Step 4. You can find your coupon code support ticket after log in or by e-mail. Step 5. 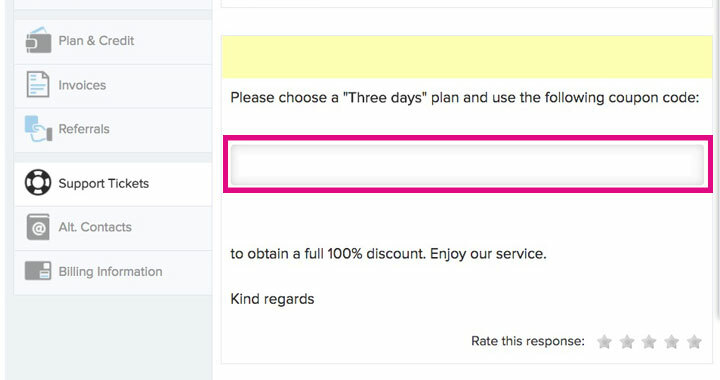 Proceed to purchase the three day plan and enter your coupon code. Step 6. The activation is instant as soon as you enter the code. 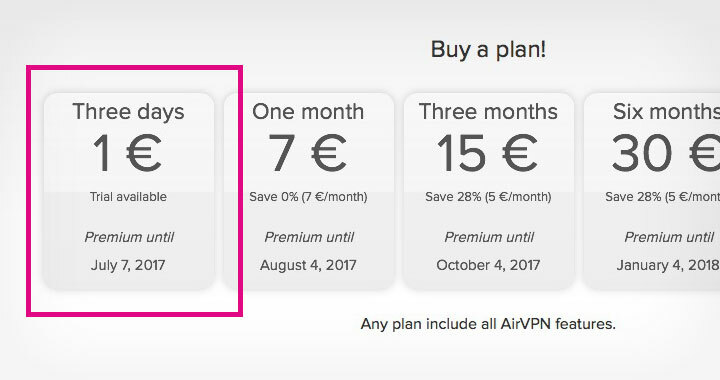 –> Find out more about AirVPN here. 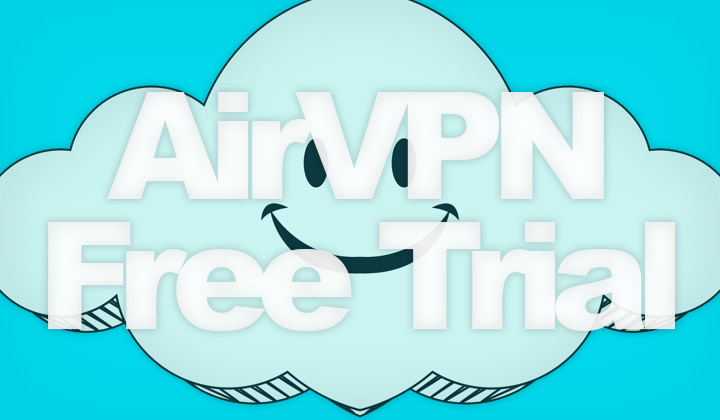 Enjoy the review trial of AirVPN for free! And please spread the word on social media — thank you! For those interested, I want to be completely transparent and tell my readers that some of the links may be affiliated with the websites they are linking to. This means, that I could potentially benefit financially from them to support the blog. Thanks for your visit..! Sincerely, David.